I’m also going to be chairing the XpertHR HR and Social Media Conference in London on Thursday 2 December 2010. Prepare to mitigate the potential risks social media poses by developing the right strategy for your organisation. Sarah Bull, Solicitor, Bates Wells and Braithwaite London LLP will show you how. ll be doing my online recruiting bit at the Social Recruiting summit in London on 30th November. 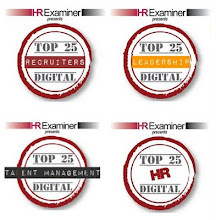 I’ve been identified as #8 in John Sumer’s / HRExaminer’s list of top 25 influential online recruiters (v2) (only one of of three people – with Bill Boorman and Peter Gold – from the UK). I was delighted to be identified as #20 top HR online influencer and then #1 talent management online influencer last year, but I’m not too sure what to say about this one. I’m not a recruiter, that’s for sure. 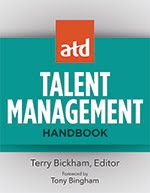 And I don’t think I even blog about recruiting that frequently – talent management and employer branding yes, and I suppose social recruiting more recently as well. I don’t even work in this area that much. I led a few major and strategic recruitment programmes when I was an HRD at Ernst & Young. But until recently, I’d not really done that much in the recruitment space since then. It’s my interest in social media that’s been starting to bring me back in – I really want to work on Enterprise 2.0 projects, but HR people I speak to seem to be more interested in HR 2.0, and within that, it tends to be social recruiting that takes a lead. So I am working with clients on recruitment now. We’re still getting lots of great feedback on last week’s Connecting HR unconference (CHRU). However, I want to respond to the small amount of criticism we received about there being too much structure and organisation. I don’t mind criticism (not much that more than most other people anyway), but I think it’s important people associated with Connecting HR, and other related unconferences, understand why we did what we did. I do completely discount the point that we needed structure because our attendees are from HR (“HR folk need a bit more structure and order than the rest of the social media population"). I’m not sure if HR people do need structure, but I’m sure the people who attended our unconference don’t. 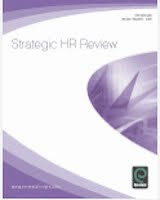 In any case, we included people from recruitment, learning, legal and other areas, not just core HR. And actually, I don’t really believe the amount of structure we used was that high. Developing the grid was a facilitated process but it was all over with fairly quickly. And I don’t believe this process could have completed before the event while providing the same level of benefits (not this time around anyway). The completed grid provided an agenda, but it was still completely up to individual people which sessions they went to, and what they discussed when they were there. And I don’t believe believe the presentations we included were a problem – all were just 6 minute Pecha Kucha’s and to me, simply one way of injecting some variety into the formats to provide additional interest to people. The key point is that we’re not against slides, just the mind numbing way they’re used in lots of traditional conferences. But I challenge the criticism on a deeper level too. To me, a lot of this goes back to what we’re trying to do. If that’s his / Andy’s definition then I can see where they’re coming from. But this isn’t the definition I would use. My definition of an unconference would be something linked to social learning – about it providing an environment designed for exchanging insights between people rather than cascading knowledge down from the speaker to attendees. Even more than this, it would be something about allowing people to connect and develop relationships in order to engage in meaningful conversation. Something about understanding that if the relationships are there, the rest will follow. Structure, powerpoint and presentations are immaterial. We included them in the day because we felt that they would help with the connecting that we wanted to take place. But if someone thinks they can create the same level of connection without this level of structure then fine. But simply taking away structure doesn’t create relationships. Bill’s TRUs are interesting events, and I really enjoyed the one that I acted as track leader at. And I connected with plenty of people too. But the fact that there was a commercial purpose, sponsors, track leaders, pre-defined sessions, and yes, even a certain lack of organisation, detracted from what I felt could have been achieved. Don’t get me wrong, Bill deserves heaps of praise for trying something new – and I’d much rather attend a TRU event than many, though not all, traditional conferences, but my sort of unconference it’s not. The key for me is a focus on ‘social’ (ie relationships), not an absence of structure. And social is what everyone seems to agree that CHRU well and truly was. It’s taken me a while to post on it, partly because of CHRU last week, and partly because I’m so backlogged with blogging (backbloggged?). But I recently presented on an excellent event at Roffey focused on innovation and chaired by MOK from Innovation Beehive. There were some great presentations, captured in the graphic, although I think some were more innovative than others! One of the best I’m sure, though I didn’t get to see it was a session on designing workplaces for innovation by Kursty Groves (a review of her wonderful new book, I wish I worked there, is one of the posts in my backblog). I presented on social media, and the opportunities to innovate HR through using social technologies as well as more social approaches, eg developing more collaborative organisations by recruiting people who will work collaboratively, or helping people develop social connections through a lengthy selection process, as Goldman Sachs already do (with 2,500 applicants meeting 20+ existing members of staff). I emphasised that innovating HR shouldn’t be seen as a lesser need than helping the rest of the business innovate – and I talked about Gary Hamel and Julian Birkinshaw’s belief that the focus of innovation is moving from products and services through business models and to organisations and management. This includes things like the expense reporting system but it’s primarily about HR. I also talked about the opportunities for HR to lead and support the use of social media within their businesses (enterprise 2.0) and some of the tools which can be used to do this. I’ll be talking more about this when I present at the Enterprise 2.0 conference in San Francisco in a couple of weeks time. There are alternatives. Why aren’t we using them? One of the things we talked about at the Connecting HR unconference was who are the social influencers? 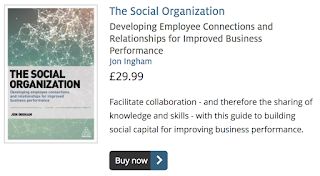 – the people who are influencing UK HR through social means in the new social world, rather than just through hierarchical power, as in the traditional structures of the present but maybe soon, the past. We didn’t get that many more names, so I’m not sure how much publicity we can get for this list, but I thought it triggered some interesting conversations. I actually don’t think it matters that much who these people are, but hopefully the list resonates with you in terms of what we mean by social influence? I’d have also liked to have seen more people who are influencing socially (through relationships vs heirarchy) but not through social media. It’s also interesting that most of the people on this list were actually at the unconference, and I suppose we’re always going to be most influenced by the people we’re close to at any particularly point in time. But it’s also because a lot of these influencers decided that they needed to attend the unconference – they in particular understood the value it would provide. So the list needs more work (we really need to conduct a social network analysis to understand it fully), but I still think it’s a better indication of where influence really lies today than the other list in HR Magazine! Who else would you suggest needs to be added to the list? Last Thursday was ‘CHRU’, the Connecting HR Unconference. And what a great day it was! In his post, Callum suggests that the idea of the unconference dates back to a tweet by Mervyn last year about the unsuitability of traditional conferences, particularly for ones discussing social media related topics. However, I’d suggest key event that led to the unconference was my meeting on 4 February this year with Gareth, my co-founder and organiser. His enthusiasm, as well as the weight and sponsorship of the Courtenay HR team (including Mervyn and Callum), have been absolutely vital in making Connecting HR a success. And prior to that, for me, the history of Connecting HR goes back to conversations with Jay Cross about all things ‘un’ (unconferences, unbooks etc), and then an increasing desire at around the time of the first HRevolution unconference in the US to do an event like that in the UK. But behind all of these inputs, the main driver for me has been to experiment in the area of social community, which I believe is an increasingly important influence within organisations as well as within cross-organisational networks like Connecting HR (see my other blog, Social Advantage, for more on this topic). It’s also an area that’s going to be increasingly important for HR. As was suggested at this Summer’s Enterprise 2.0 conference in Boston, community management is the new, smart HR (or part of it at least). It’s the above perspective that led to the overall organisation of the unconference – for example, the reason that we didn’t have speakers or sponsors (because doing this automatically sets up status distinctions between speakers and listeners, sponsors and targets etc). This was also behind the choice of venue – an old warehouse currently undergoing renovation into a community centre. I loved the way this space allowed everyone to separate into smaller groups while still remaining together, and even that the dust and cold got people acting in a different way than they might on an average office day. And it’s this perspective that led to the design of the event. One which was based upon a fairly standard open space approach (albeit developed specifically for this event, rather than sticking rigidly to other previously used formats). Basically, we started the event with an overall theme, again reflecting the importance of social community – ie social connecting and the use of social media , but with no prescribed agenda. We then used the first half an hour to construct and agenda using a grid. The rest of the day, people selected the session they wanted to attend from the options on this grid. It’s not an approach that many attendees had experienced (or indeed has been used at HRevolution or Bill Boorman’s TRU recruiting events) and it was clearly an approach some people found quite quite difficult initially. But I also think everyone got into the process quite quickly – and I saw the chaotic conversations around the grid as a very positive manifestation of what was emerging. And I think if you evaluate the approach by its outputs (eg the perspectives shared in peoples’ blog posts) everyone would have to accept it worked very well. The only criticism of the process I’ve come across is that there was too much structure, and I’ll address this in my following post. One of our sessions focused on the future of Connecting HR, and it’s clearly going to have a very exciting future. It’s no longer an experiment but a living forum for HR people to connect, develop relationships and participate in powerful conversation. We’ve agreed a date for our next tweet-up (Monday 31 January 2011), and a rough timescale for our next unconference (March next year). I’m really looking forward to this, although I’m not planning on having a very active role (don’t get me wrong – I want to stay involved and participate in an organising committee – but I don’t need to be the person at the front, and don’t want to be the one that does the shopping!). There’s now a lot of people who want to be involved in taking the community forward, and I think for the community to continue to evolve, I (and Gareth) need to let them. And although I do think the process we used for this unconference worked well, I’m sure we can do better, and I think this requires other people to step in and take a lead. Also, form a purely selfish point of view, I want to use the forum for connecting, and I’m afraid this time around I didn’t get much time to meet people or participate in the discussions, and I want to correct that next time! There are still a couple of issues I think we need to address before we move ahead with these events. One key issue that we still need to address is the supplier question. In our two tweet-ups, we kept the proportion of suppliers deliberately quite low. We were more tolerant in the unconference, and naturally ended up with a much higher proportion of suppliers. This didn’t seem to be an issue for anyone there, but we still know that there’s a need to ensure a balanced participation. We need to find a way to include all the suppliers already involved in our community, and others who want to join us too. And, at the same time, to grow the numbers and particularly the proportion of internal HR practitioners back to what it was in our earlier tweet-ups. I also think we also need to think about the size of our footprint. We were joined at the unconference by community members from Oslo and Geneva, which was absolutely great. But I also suggest we keep the current focus on London, or possibly the UK, and seek relationships with other groups (eg HRevolution) to spread connection between as well as within groups, rather than trying to do too much ourselves. We’re also looking at whether we move our online conversations from Yammer to a more open community site. I think this is a key move for us. We’ve not been able to generate the level of conversation on Yammer that we’d hoped and we need our new platform to better leverage the energy and enthusiasm of the community. The key for me is that we don’t get too seduced by great technology, but simply find somewhere people will want to be. After all, as was also noted at this Summer’s E2.0 conference, communities aren’t sites, they’re people. And we need to design our community in this light. So, we’re nearly there – the UK’s first unconference takes place on Thursday. I wrote this article for an HR magazine to publicise Connecting HR, but it was (understandably) seen to be too promotional. When I started blogging three years ago, there were just a couple of other HR blogs in the UK (Scott McArthur’s Rant and Rick’s Flip Chart Fairy Tales). There are now a lot more HR bloggers blogging, as well as even more HR people on Twitter, and I therefore find it’s increasingly important to create new opportunities to communicate and engage with the rest of the HR profession. As well as those of us whom are blogging, there are also a lot more HR people reading blogs. This isn’t helped by the high proportion of workplaces which are still banning access to blogs and social media. But this situation is changing slowly, and most professionals now realise that they can get as valuable information from blogs as they can from any other source. No, not every blog is of a high quality, and not every post is going to be accurate all of the time, but you often find conversations moving across different blogs, in both their posts and readers’ comments. This flow of inputs and sentiments can often provide a highly informed body of knowledge on a particular subject or event. The increase in all this activity can best be seen in the high attendance – getting on for one hundred people – at a couple of London based tweet-ups (or meet-ups for HR practitioners using and interested in using twitter and social media) recently. And more of this group and other people are going to be meeting at an unconference shortly. This is an event, similar to a conference, but without all the formality and status differentiation between speakers and attendees that come with a traditional conference. In an unconference, everyone speaks and everyone participates. It focuses purely on what people often see as the best part of a conference – the informal, social connection over coffee, or the conversations sparked from random meetings in the hallway - without all of the power points and one way communication getting in the way. One of the things we’re going to be talking about is the use of social media within HR (social recruiting, social learning etc), as well as HR’s role in supporting the use of social media within the business (enterprise 2.0). But we’ll be talking about a lot of more traditional areas, and other topical issues like the public sector spending review, too. In fact, the key thing that distinguishes these events from other formats, and often HR bloggers from other practitioners too, isn’t that we’re interested in or are using social media, it’s that we’re interested in connecting; in developing trustful relationships; and engaging in really insightful conversation with others in our community. Of course, bloggers aren’t the only people interested in this, and there’s an open invite to the unconference for anyone who wants to benefit from the type of social engagement that this type of event provides. For me, it’s just one more opportunity to communicate (by which I mean to listen as well as to talk) and to engage (by which I mean to develop relationships for the future, as well as learn things which may be useful for now). I’ve had this article published in HR Magazine to support the upcoming Connecting HR unconference, and also in response to the magazine’s list of UK HR influencers which I thought was total rubbish, to be frank (eg including Dave Gartenburg from Microsoft who returned to Seattle two years ago. Duh!). 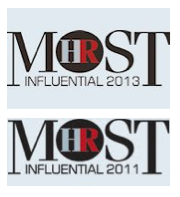 Publicising the article @HRMagazine asked Who are the new HR 'influencers' in the blogosphere? Which sort of suggests they didn’t actually read the article before publishing it, because what I tried to argue was that the new, social influencers are people who influence in a social way (through relationships), not just those that use social media. But anyway. Kevin Ball for his ‘adoption’ of the Connecting HR hashtag! I suppose you could make a case for the inclusion of local CIPD group members, but I’m going to keep them off, largely because many of them don’t do much to grow community (there are probably a few exceptions – the local equivalents of Steve Browne in Ohio). The really interesting thing about the above list is that most of these people are involved in Connecting HR! This should make for a great unconference on Thursday, and I think provides justification for us taking on the role of identifying a new list of social, or maybe simply ‘real’, influencers at the unconference. If you’re not at the event but you want to submit your suggestions for new influencers in UK HR, tweet us on Thursday 21st using the hashtags #chru #nihr. You can also email khry5c-w91c6k@twittermail.com, also referring to #chru #nihr, and keep your message short!